The after party of Olympic proportion. The London 2012 Closing Ceremony, directed by Kim Gavin and entitled "A Symphony of British Music," highlighted some of the best British music. 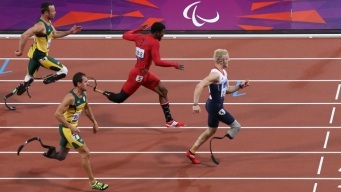 See which athletes from around the world bring home gold from the London 2012 Games. How our local athletes did in London at the Olympics. Some won medals, some did not -- but all felt our hometown pride. Bruce Beck has more. The odd feeling Kerri Walsh Jennings felt in her stomach at the London Olympics wasn't just butterflies. 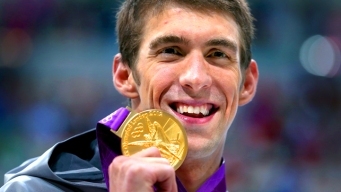 Michael Phelps agent is flatly denying that the swimmer broke International Olympic Committee rules with photos in which he posed with luggage. 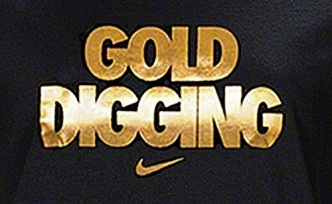 Nike's "Gold Digging" t-shirt—available only in women's sizes—was meant to acknowledge the 46 gold medals won by American women at the 2012 Olympics in London. Gold medal gymnast McKayla Maroney flew into LAX on Wednesday and headed directly to her training gym, where she was welcomed by friends and fans with open arms. The London 2012 Olympic Games take place through Aug. 12 and air on NBC. Highlights of the Summer Games include gymnastics, swimming, soccer and track events. Bookmark this page to get news about all your local athletes and the biggest Olympics stories. Follow the action in real-time on our live blog.